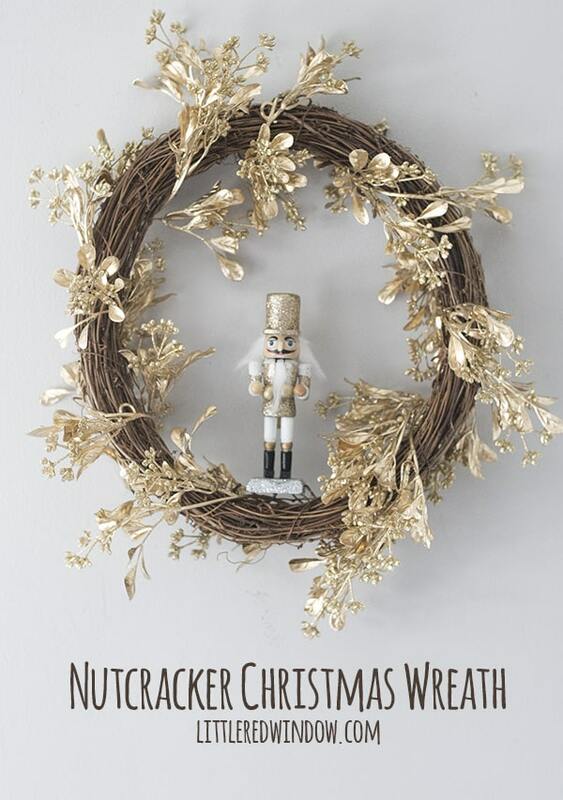 This gorgeous sparkly nutcracker Christmas wreath takes only a few minutes to make! I honestly don’t know what the deal is with me this year. I’m excited about Christmas, I am having fun doing all the Christmas-y traditions with my kids, it’s all good, but I just have NO holiday crafting mojo. 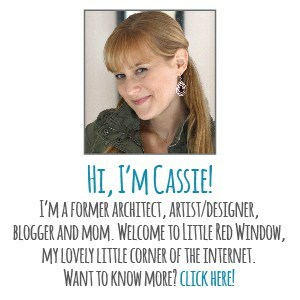 Like usually around this time is the one time of year I am absolutely guaranteed not to have crafters block. But this year, I don’t know what the deal is, I’m just not feeling it. Lots of knitting, not so much glue gun-ing. 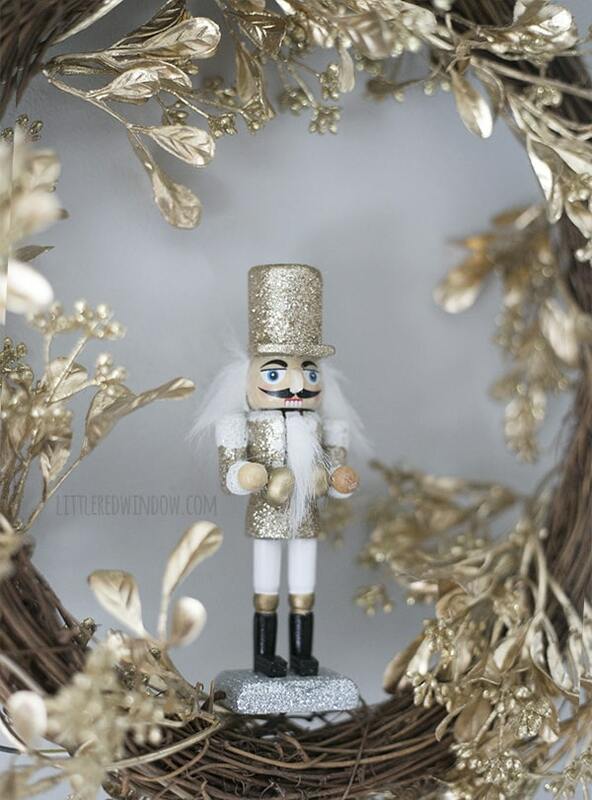 So anyway, I needed a craft-win to get me back on track and this pretty sparkly nutcracker christmas wreath was just the ticket. It honestly took about five minutes to make and it’s gorgeous! Get ready for the shortest craft tutorial ever, ha! 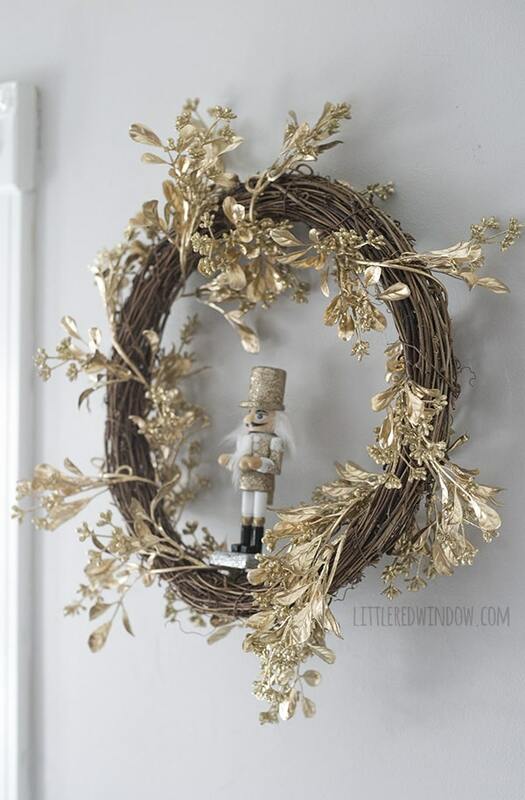 Anyway, here’s how I made my pretty Nutcracker Christmas wreath! I love grapevine wreaths because you can add most embellishments to them without glue or other fasteners, just be weaving them in between the vines. This christmas wreath was SO quick to make. 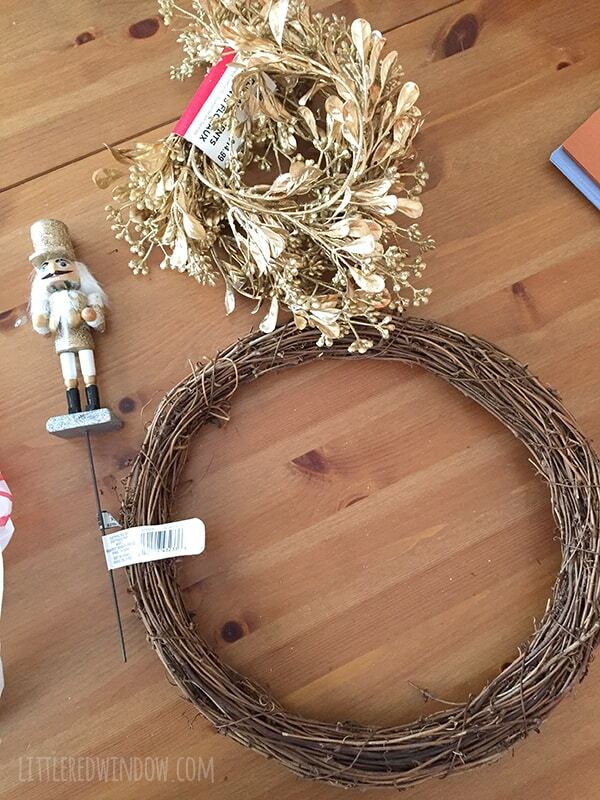 I just wound the gold leaf garland around the wreath form. And then stuck the nutcracker in at the bottom. Mine happened to have a pick on the bottom but if yours is an ornament you may need a bit of hot glue to make sure it’s secure. Hello. I made the baby hat with the bow.I love it.